Royalty and cracking codes and castaways, oh my! It might sound like a plot summary of a new hit novel, but it’s actually a few of the highlights that our online followers liked and shared this week. From a fancy dinner with Prince Charles to edible insects to the difference between Dimetrodons and Uma Thurman, it was just another week in social media land for the Houston Museum of Natural Science. It was an important week for NASA as Apollo 11 celebrated its 44th Anniversary of making the U.S. the first country to explore the Moon. Not only did they celebrate winning the Space Race, but they also helped build up a little boy’s dream of someday going to Mars. A 7-year-old boy named Dexter wrote NASA a heartfelt letter expressing his desire to go to Mars. NASA didn’t just answer him; they also sent him a ton of “cool space swag” as well as pictures of the Red Planet and the Curiosity Rover — once again proving that the United States has the best space program in the world! In other news, Tom Hanks may not have been the only famous castaway. Several detailed aerial photos show a remote island that Amelia Earhart may have survived on for some time as a castaway. These photos didn’t show any volleyballs with faces hanging around, but there was still enough evidence to show that the famous flyer may have lived in island isolation for a short while. Many social media followers of the Museum enjoyed a post showing just how delicious and nutritious crickets can be. In case you don’t follow us on Instagram, you too can view this young lady enjoy her crunchy cricket snack. Kate Middleton’s baby bump may have been drawing most of the news recently, but Houstonians should be paying particular attention to another British Royal: the Prince himself, as Prince Charles recently hosted a black-tie-dinner for a handful Museum patrons. The focus of this soiree was to discuss a partnership between the museum and the Hereford Cathedral, which currently houses one of the four 1217 Magna Cartas. 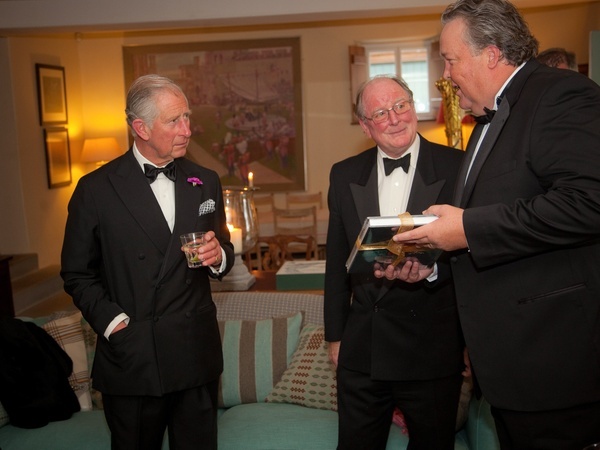 The patrons were lucky enough to view the Magna Carta and the King’s Writ as well as enjoy a lovely dinner with the charming Prince. On an historical note, HMNS also blogged about cracking the code of the Rosetta Stone. It explains how the month of July in 1799 turned out to be the most important month in the history of understanding Egyptian hieroglyphic writing. It explains how the stone was discovered and used to bridge the gap between understanding ancient Greek and understanding ancient Egyptian hieroglyphs. Pushing even further back in history to the age of the dinosaurs, Dr. Bob Bakker blogged about some fabulous Dimetrodons and some of their interesting anatomy. He even uses the beautiful Uma Thurman to further his explanation for a great read about one of our in-house exhibits. 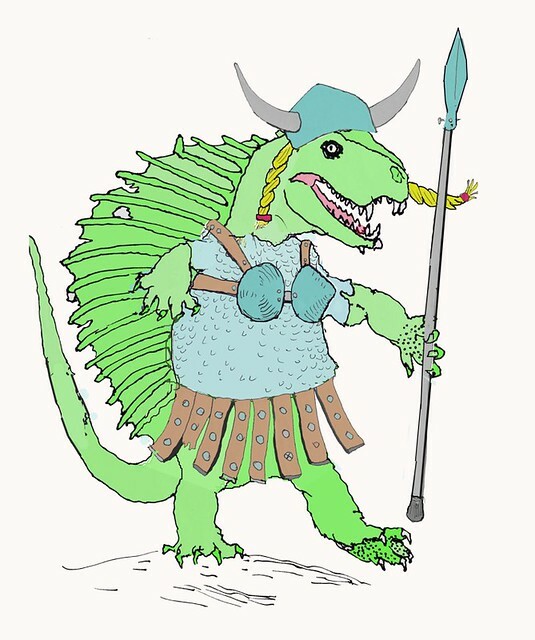 Once you read up on the Dimetrodon, make sure you come and enjoy it in person in our new paleo hall, curated by the wonderful Dr. Bakker himself. These were just a few of the many stories that our social media followers enjoyed this week. If you missed any of it, make sure that you follow the Houston Museum of Natural Science on all of our social media channels. We are posting fabulous new information every day — and sharing yours, too! Meagan is a Marketing Intern and is new to HMNS this summer, but she is no less excited about all of the new exhibits here at the Museum. Her responsibilities include assisting anyone and everyone in the Marketing department. Her summer will include helping with everything from public relations to advertising.